How Fast Can I Rent My Property? Our agents make HomeRiver Group™ Tampa property management unique. We have numerous managers and real estate agents in-house and in the field with years of experience. We give our property experts the best tools possible to manage your home. They know the best vendors in the industry, tenant-landlord laws and what is needed to rent your home. Having a HomeRiver Group™ Tampa property expert is the greatest asset to choosing property management because you can be assured a knowledgeable consultant will always be in your corner. Local-Market Knowledge: The best realtors will provide information that is county, city, and even neighborhood specific to determine the best selling rates for their clients. Our real estate agents are consistently in the field, learning about market trends, and speaking with locals to give the most personal, knowledgeable council possible to our clients. Technologically-Savvy: Utilizing social media and the internet is one of the greatest sources to market your property. Our competitors do not utilize social media to its full potential – a free resource for marketing in addition to the traditional marketing on real estate websites. At HomeRiver Group™ Tampa, we use both to maximize your home’s prospect list to its greatest potential. Investment knowledge: Our real estate agents know how much a home investment is worth. Buy the wrong property, and you could be stuck with it for a long time. Pay too much, and you may make a loss when you go to sell. A dream home can only be a dream home with enjoyment and benefit from start to finish. Finance Experience: Whenever you go for a loan, you want to get the best interest rate and have an “in” if possible to find the best financing options. At HomeRiver Group™ Tampa, we have the best inside financing connections for all areas of residential sales. Customer Service: Your needs are our priority. At HomeRiver Group™ Tampa, we uphold a 14-point customer service process because we understand your time is important and your needs require fast responses. We go the extra mile to make sure you know you chose best by selecting HomeRiver Group™ Tampa for your real estate needs. Industry Awareness: Our real estate agents are required to be aware of trends and market to provide the best council to our clients. 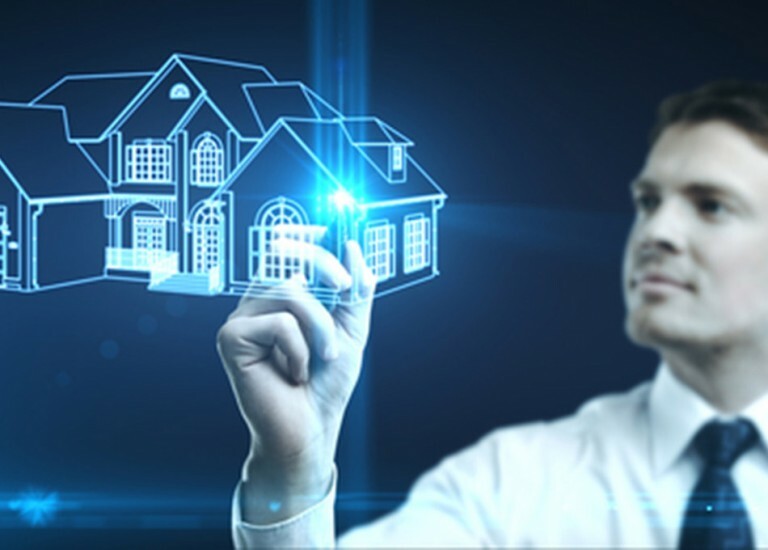 We provide cutting edge marketing by syndicating our client’s properties on dozens of real estate websites that generate the most effective leads to provide the maximum exposure. Contact us to learn how our real estate experts can help you. HomeRiver Group™ Tampa offers two additional property management services, the property preservation program and scheduled maintenance services, to further help you as the owner have peace of mind. The Property Preservation Program is a preventative maintenance program that is conducted quarterly on your property. Some clients place a big emphasis on having eyes on their property – this service aids in that need. Our inspectors schedule appointments with your tenants, do a 30-point interior and exterior inspection of your property, conduct routine maintenance activities such as replacing the air-filter to prolong the life of your AC system, replacing batteries in smoke detectors to comply with minimum housing standards; checking your fire-extinguisher, tightening and securing p-traps beneath sinks to prevent leaking, completing repairs that are within the maintenance limit, and providing quotes on repairs that are outside your maintenance limit. These inspections can be done on a quarterly, semi-annual, annual, or as needed basis. At HomeRiver Group™ Tampa, not only do we have a property management division, but we have an in-house maintenance team – HomeRiver Group™ Tampa Property Services. In addition to our in-house service team, we have developed business relationships with our preferred vendors in all major markets. Our experiences have taught us which vendors have the best pricing, while keeping prices down. Interested in scheduled maintenance services? We can add scheduled services for your property at a preferred HomeRiver Group™ Tampa rate for servicing of your pool, lawn and maintenance care, major system tune ups for AC and appliances and much more! Consult your property manager today for your options. When we say we are full service, we mean it! To provide our clients and customers with the best possible customer service, we provide our property management services 365 days a year, 24/7. By choosing HomeRiver Group™ Tampa property management, your residents will have essential property management services provided to them on holidays and all times of day. With these 24 hour services available every day of the year, you can have peace of mind that your residents are being assisted. Happy residents will be less likely to move; therefore, saving you turn costs and leasing fees. To accommodate all schedules, we provide automated showing scheduling to our prospects through our rental hotline and website that is always active. The showing is placed instantly on the agent’s calendar to ensure homes are rented as quickly as possible. Our residents can pay rent online in their tenant portal at all times of day. In addition to their portal, they are able to pay to our drop box outside of each HomeRiver Group™ Tampa office. Additional, tenants are also able to pay at Amscot, and many are open 24 hours. Maintenance issues and emergencies can arise at all times of the day. A resident can contact the emergency call center at any time. As soon as a work order is submitted, the property manager work to dispatch one of our trusted vendors to resolve the maintenance request. In addition to the benefits of our resident services, owners have full access to their own owner portal where the owner can approve work orders, make contributions, view statements, and begin a conversation with the property manager. This system can be accessed at all times of the day.